CINCH only uses high quality materials for their garments. They are made tough and durable...capable to withstand the test of time. CINCH delivers western fashion with a distinct approach. Their jeans are all the rage with people who enjoy stylish fashion and quality products. They offer jeans for men, women and boys. Great for life on the ranch, work at the rodeo, or anytime you desire to step out in style! Alhough rodeo athletes all over the world enjoy the fit, style and comfort of CINCH jeans, everyday people are now enjoying this line of clothing and accessories, too. When the public sees a good thing, they grab it up. CINCH brand was launched in 1996, and has been climbing in popularity ever since. They are an innovator in the western clothing industry, and they fill a need for performance-ready, quality western apparel both in and out of the arena. So if you live and breathe the western way of life, CINCH is the clothing for you! Cinch White Label jeans are one of the most popular styles of Cinch jeans. 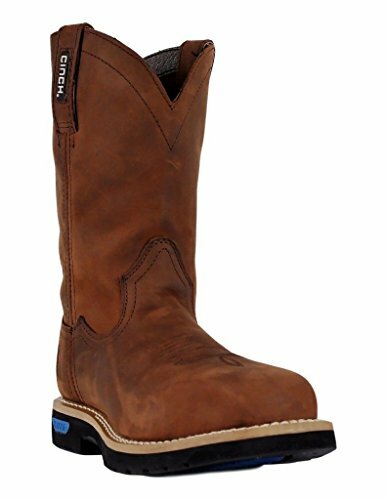 Cut with a slightly lower waistline and featuring a relaxed fit with a straight leg and an 18" opening to fit easily over your boots. CINCH men’s jeans are tough and durable for the rodeo arena or life on the ranch, yet fashionable enough for a night on the town . The company stocks a wide variety of high-quality men’s jeans in a broad array of jean fits. For a slim jean, browse their Bronze Label, Silver Label and Ian fits. For a more relaxed fit, look to the Green Label, White Label, Dooley, Carter and Grant fits. For a loose fitting jean, look no further than the Black Label, Blue Label and Sawyer fits. 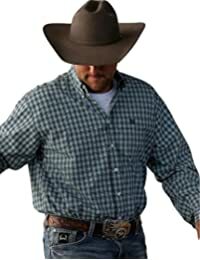 Classic Fit Shirts by Cinch for Men are the standard by which all western apparel is compared. This stylish and functional long sleeve shirt is 100% cotton plain weave with a generous cut that allows for freedom of movement and comfort (If you are unfamiliar with Cinch sizing, we recommend going down a size from what you normally wear). Starch and press this shirt for a crisp and clean look all day. Button front closure, button down collar and cuffs, and a single open pocket on the left chest with an embroidered Cinch logo complete the classic styling. From sweatshirts and jackets, to t-shirts and hats, CINCH has all the western apparel you need for work or play. ​ Quality craftsmanship and durability are their promise, so go out, work hard, and have fun in CINCH clothing! Choose from the products below or find more using the search bar provided. For the rodeo cowgirl in us all, these CINCH jeans for women come in indigo, and they'll leaving you looking and feeling great! Show off your favorite boots in the Cinch Summer Ada Boot Cut Jean. 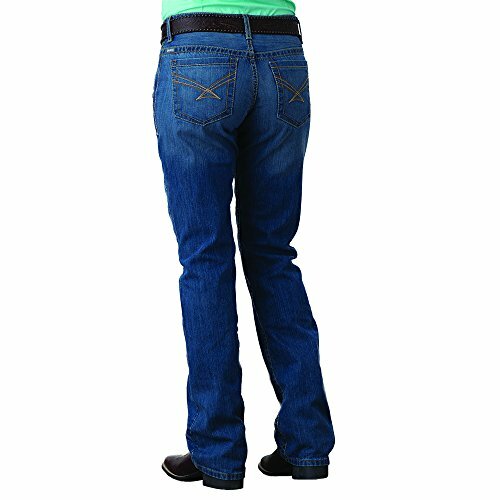 You'll be ready for work or play in these durable and stylish CINCH jeans for women. For quality jeans that are durable and stylish, turn to CINCH and love the way you feel! 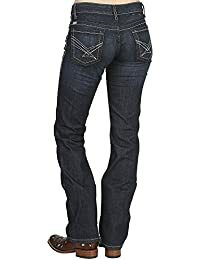 ​These CINCH women's jeans are just what the rodeo woman, ranch gal, or everyday Jane will enjoy. Step out in style with Cinch classic outerwear. This soft shell jacket has a little stretch for a comfortable fit in or out of the saddle. Breathable polyester helps you keep dry and warm. Embroidered Cinch logos on the front chest and left arm. A great layering piece. Cinch Women's Size Chart Cinch Men's Size Chart Set off your western appeal in this attractive Cinch® woven. Breathable, cotton-weave with an allover daisy print. Point collar. Button-up placket. Contrasting paisley print at collar and cuffs. Long sleeves feature two-button cuffs. Patch chest pocket with embroidered logo. Shirttail hemline. 100% cotton. Machine wash, tumble dry. Imported. Measurements: Length: 25 1⁄2 in. Enjoy other CINCH clothing for women to go along with your CINCH jeans. 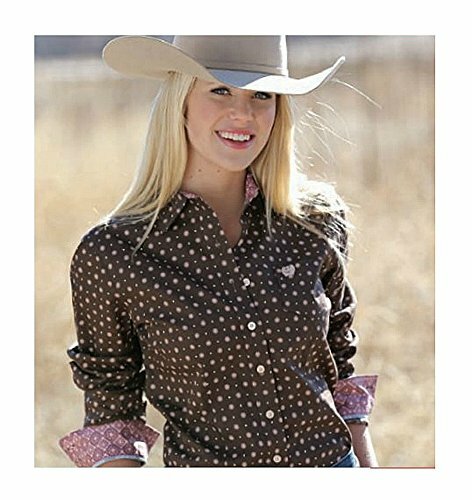 CINCH makes quality women's shirts, jackets and more. ​ You'll love their style and the way these clothes fit and feel on you. 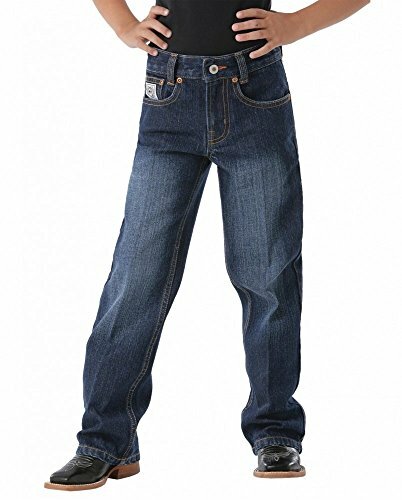 Quality and style go hand in hand with CINCH jeans for boys. He will play, ride, and enjoy life in his CINCH jeans. Great for playing outside, wearing to school, or wearing for any casual occasion. 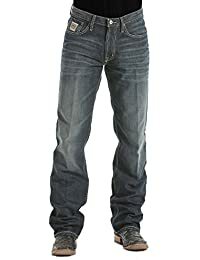 Your young man will look and feel great in his CINCH jeans. 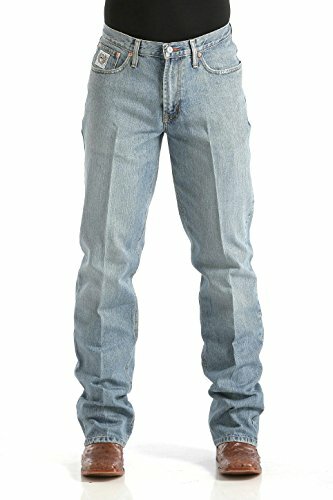 These relaxed jeans by CINCH will keep any young man comfortable every day of the week, no matter whether he's playing, studying, or working hard on the ranch. CINCH clothing is durable and constructed of quality materials, so these jeans will take a beating and last long. 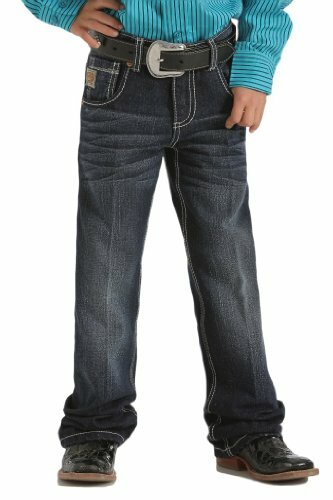 CINCH jeans for boys are made of quality materials for durability through everything your young man can dish out. ​ They look and feel great, too! Choose a color and style he will love, and give him what he wants in a pair of jeans.